Social Studies is a subject that tends to get pushed to the side, especially in elementary school classrooms. People think of Social Studies as a subject that no one needs to learn about. I hate to admit it but Social Studies was NOT taught hardly at all at the elementary school that I grew up in. The only time I remember Social Studies being taught was in sixth grade because that particular teacher made it fun and exciting by dressing up as important people throughout history and doing hands-on activities with us. Teachers SHOULD teach Social Studies because it gives the students an idea of history, geography, cultures, and many cool facts! The National Council of Social Studies states Social Studies is, “the integrated study of the social sciences and humanities to promote civic competence.” I absolutely love this quote from the National Council of Social Studies, “Social studies educators teach students the content knowledge, intellectual skills, and civic values necessary for fulfilling the duties of citizenship in a participatory democracy.” Social Studies can be more than just a boring subject to students, as it was to me in elementary school. Social Studies educates students about the world. It helps the students become better citizens and role models for other. More and more I have seen how Social Studies is not important in the elementary school classrooms, which needs to be changed immediately. Since most schools do not focus a whole lot on Social Studies, I plan on going into my classroom with Social Studies being one of my main priorities. If a principal tells me that I do not need to teach Social Studies in the classroom, then I am going to use my critical voice and explain to him or her that Social Studies is so important for students to learn. I would explain to the principal that Social Studies is more than a subject, it is life. Since there is not a lot of time to teach Social Studies in the classroom, I plan to integrate it into different subjects. Language Arts is a very good example in integrating Social Studies. Since reading is very important for the students, I plan to use stories from the past, information on different cultures, and other Social Studies materials for the students to read. Not only are the students using reading skills but they are also learning about Social Studies. I hope that my desire to teach Social Studies in my classroom will be a role model for other teachers to teach it in his or her classroom. In my classroom, I plan to have a learner-centered classroom. This means that I want my student’s learning to be the main focus. I also want my classroom to be very hands-on. Social Studies can be a subject that gets very boring for students. Well, the only reason it can get boring is because the teacher is just making the students read a textbook (which SHOULD NOT be the main source for the teacher) or just giving the students facts to memorize. Social Studies NEEDS to be fun and exciting for the students. During this semester, I have seen that Social Studies can be very interesting. Several examples of making Social Studies fun is the Living History Museum, plays/skits of history, and Box City. In my classroom, I also want it to be equal for all the students. I want my students to accept everyone. I would love to have a diverse classroom because it would give me the opportunity to show students several backgrounds, cultures, and beliefs. Wow, I could go on and on about my thoughts and feelings about Social Studies. Throughout this semester, my views have changed drastically. I never really understood the point in Social Studies until I took this class. This subject is so important because it develops who you can become by learning about diversity, geography, and history. I believe I need to use my critical voice by pushing more teachers into teaching Social Studies. I just recently read an article called “Putting the Social Back in Social Studies”. I agree 100% with this article. Social Studies needs to be put back in the schools. Students do not even know capitals of states, where countries are located, why we went to war, and many other things that are important. Maybe one day more teachers will gets the idea that Social Studies is important! In conclusion, I have learned so much during this Social Studies class. Dr. Meier is a WONDERFUL teacher and an excellent role model. I hope I can be just as half as good as she is in teaching Social Studies. Thank you for giving me so many activities to use in my classroom one day Dr. Meier. Thank you!!! The last day in Social Studies class was very interesting. As a class we got in a circle and talked about our beliefs about Social Studies and answer questions. I found this fun because I got to think back on the semester and how much I learned about Social Studies. It was a wonderful way to end the class! Well I cannot believe that this semester is over with so quickly. All my classmates and I have wanted this semester to be over with since it has begun. This semester was a hard one (the hardest yet), but I have learned so much on how to become a better teacher. I am really going to miss all my new friends in block. We have finally made it and I am so proud of all of you!!! Well, Wednesday in class we finished up our living history museum. I got to dress up like Susan B. Anthony. Susan B. Anthony was reformer, teacher, activist, and lecturer. I had fun being her because I did not know a lot about her. I found it interesting to research about her and get to act like her for a little while. 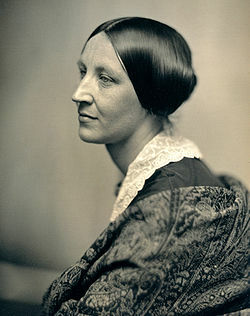 Below is a picture of Susan B. Anthony. I definitely plan on incorporating a Living History Musuem into my classroom one day. I found it so much fun. I learned a lot about several people that I have heard of but had no idea what they did. Today in Social Studies we did part 1 of the Living History Museum. I met several interesting people such as Henry Ford, Annie Oakley, and Bob Dylan. I enjoyed the Living History Museum because I was able to learn about people from history in a different kind of learning experience. There were a few people at the museum that I had never heard of or knew what they did in history. I think young children would really enjoy doing this in the classroom. I am excited about Wednesday because I get to learn about more interesting people from history and I also get to dress up and be Susan B. Anthony. Last, Wednesday in class we did BookTalks. The book I chose to read was a book from the Dear America Series called The Girl Who Chased Away Sorrow The Diary of Sara Nita, a Navajo Indian- New Mexico 1863. The book was written by Ann Turner and published in 1999. I really enjoyed reading this book because it gave me a sense of what the Indians went through during this horrible period. The Girl Who Chased Away Sorrow is about Sara Nita, a 12 year old Navajo Indian, who lived during the removal of the Indians from their land by the United States government in 1864. Sara Nita’s granddaughter, who is also named Sara Nita is writing down her grandmother’s story in her diary because her grandmother wanted her to hear and write down her story to remember what her people went through. This book gives you an excellent sense of what the Native Americans of all ages had to deal with during the Indian removal with a 400 mile walk in the middle of winter in harsh terrain to Fort Sumner in New Mexico. During this journey, Sara and her sister lose her parents when they are kidnapped from there home and throughout the story, you are seeing how much they want to find there parents. But do they ever find them when they get to the fort? You will have to read this excellent book to find out! 6.1.spi5 identify difference between various cultural groups (i.e., European, Eurasian, India, Southeast Asian, Middle Eastern, African, Native American). 5.1.01 Understand the diversity of human cultures. a. Explain how some immigrants preserved their traditional culture and created a new American culture. b. Explain governmental efforts to restrict Immigrants entering into the United States. 5.0.03 Recognize the contributions of individuals and people of various ethnic,racial, religious, and socioeconomic groups of the development of civilizations. b. Describe how language, stories, folktales, music, and artistic creations service as expressions of culture and influence behavior of people living in a particular culture. I enjoyed listening to every one's book talk because it showed me how you can use chapter books to incorporate Social Studies into the classroom. On the other hand, everyone have a HAPPY THANKSGIVING!! On Monday in Social Studies class, we talked about strategies to involve think-alouds while students are reading books about history, cultures, or anything that involves Social Studies. I find think-alouds difficult to do since you normally do not write down what you think. Think alouds are basically reading out loud and showing the "thinking" process. In class, we learn some wonderful examples of teachers using think-alouds in the classroom. Most students do not ever learn how to think-aloud, which is why teachers need to make it an important strategy to teach in the classroom. Students can make connections while they read through text-to-self, text-to-text, and text-to-world. Think-alouds take a lot of practice, but it is something worth-while to do in the classroom because you are incorporating Social Studies with reading. This week in Social Studies class we did an awesome activity with Mt Everest. On Monday we learn all about Mt. Everest, which I thought was very interesting. I had never been interesting in climbing and learning about the process of climbing a mountain until Mrs. Meier's shared some very interesting facts with us about Mt. Everest. I find it so fascinating that people have climbed this mountain numerous times. For example, the Sherpa's live at Mt. Everest and help people like me climb the mountain. 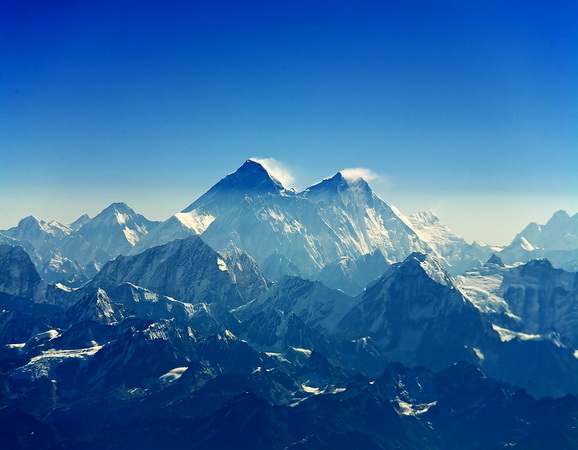 Below is some beautiful pictures of Mt. Everest that I found. ﻿On Wednesday in class, we continued learning about Mt. Everest by doing a storypath. I found this excellent definition on storypath on http://fac-staff.seattleu.edu/mmcguire/web/. Storypath offers both a structure for organizing the social studies curriculum and an instructional strategy for teaching. The structure is a familiar one: the story. The strategy is grounded in a belief that children learn best when they are active participants in their own learning, and places students’ own efforts to understand at the center of the educational enterprise. Together, the structure and the teaching strategy ensure that students feel strongly motivated and have meaningful and memorable learning experiences. When doing a storypath, you have to make sure the students know the background of the subject/topic. So on Monday in class, Mrs. Meier's gave the class all the knowledge that we needed to know to make our storypath. I found this activity fun, because you get to put yourself into the shoes of someone else for a little while. Below is the final result of the storypath that we did. I definitely plan on incorporating storypath into my class one day!!! Hi! My name is Ashton Davis and I am so excited about becoming a teacher. I hope you enjoy looking at my blog! !